Buying a Spa Nice means being swept away by an exceptional combination of aesthetic design and ergonomics, offering an overall feeling of well-being and satisfaction. 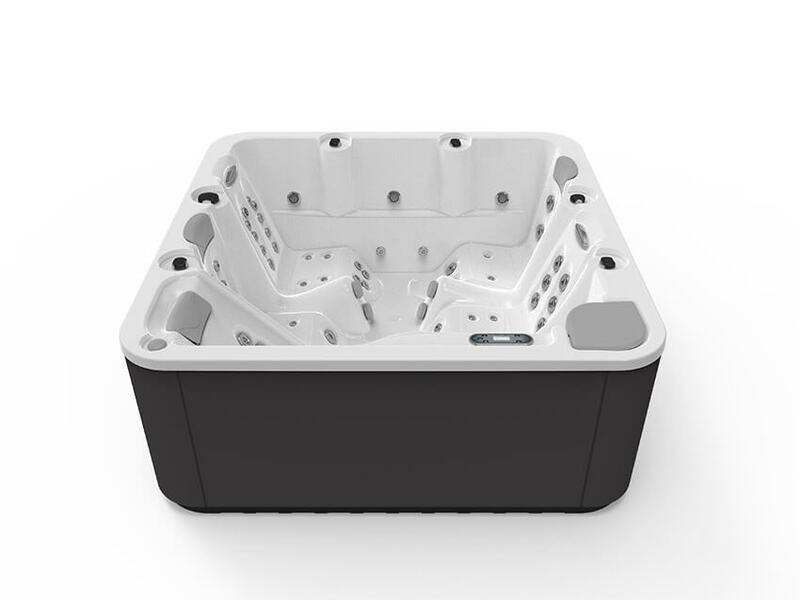 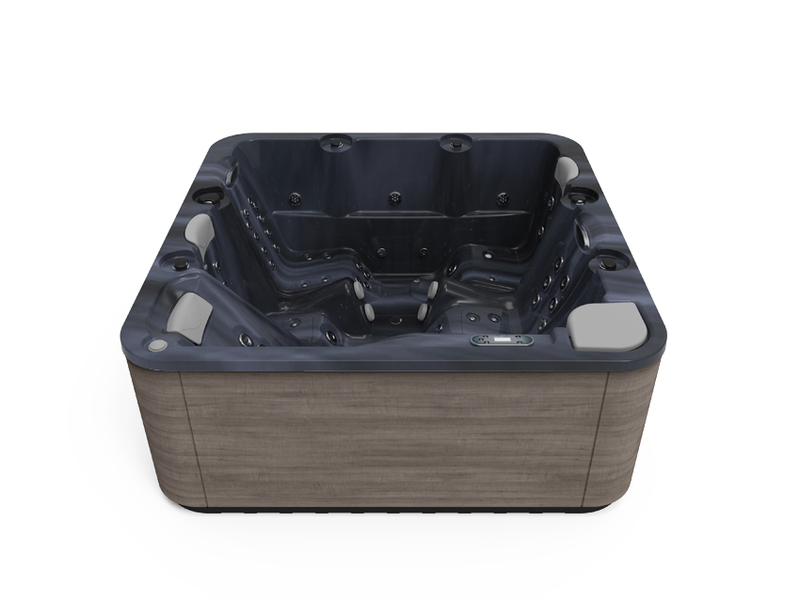 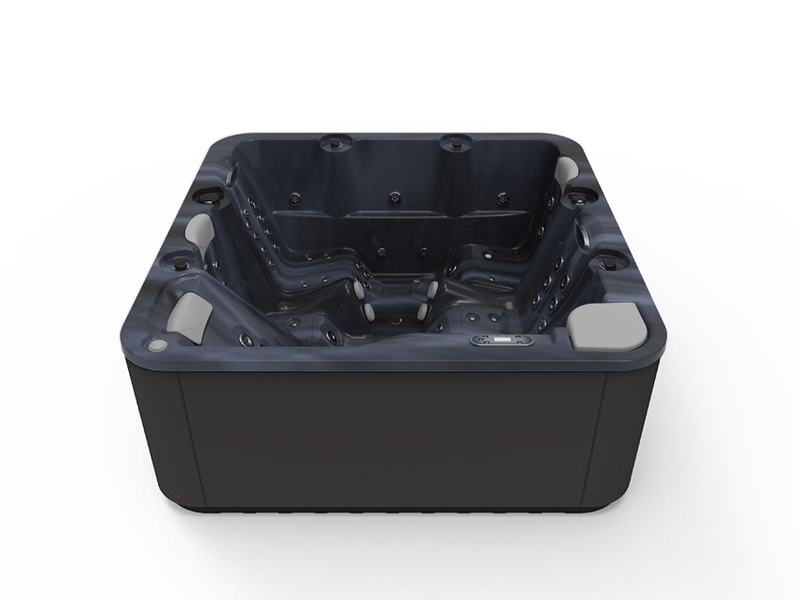 This 5-person hydromassage tub, with 4 comfortable seats and a spectacular lounger, is the ideal solution for anyone looking for a hot tub with great features, impeccable aesthetics, and high power. 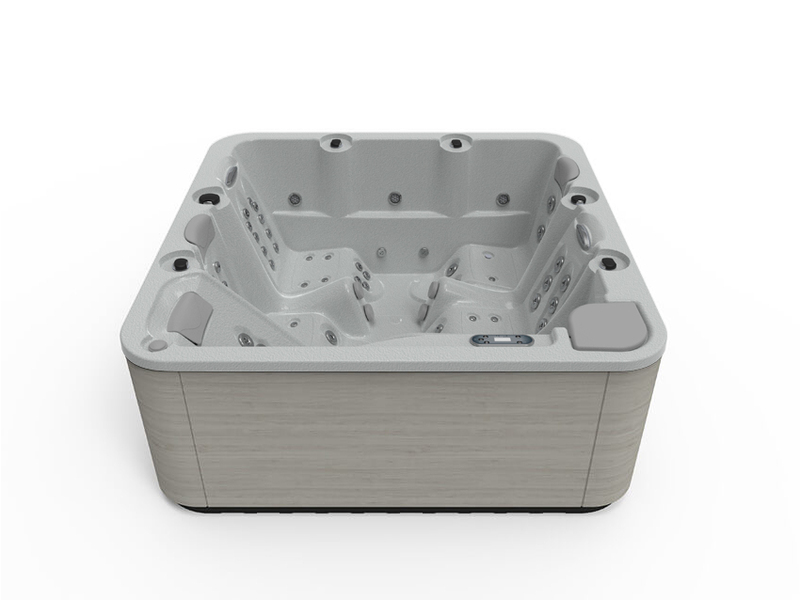 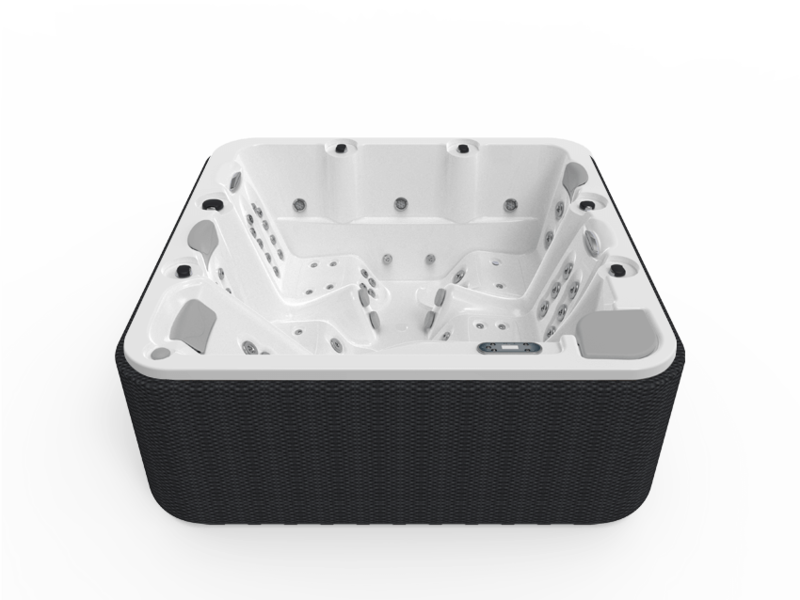 As such, the Nice hot tub is one of Aquavia Spa‘s most powerful models, with two separate hydromassage pumps, an air jet pump, and the exclusive silent filtration pump (Silent Pump). The Spa Nice has everything you need in order to improve your quality of life. Share your best moments as a family, as a couple or with friends in your Spa Nice. 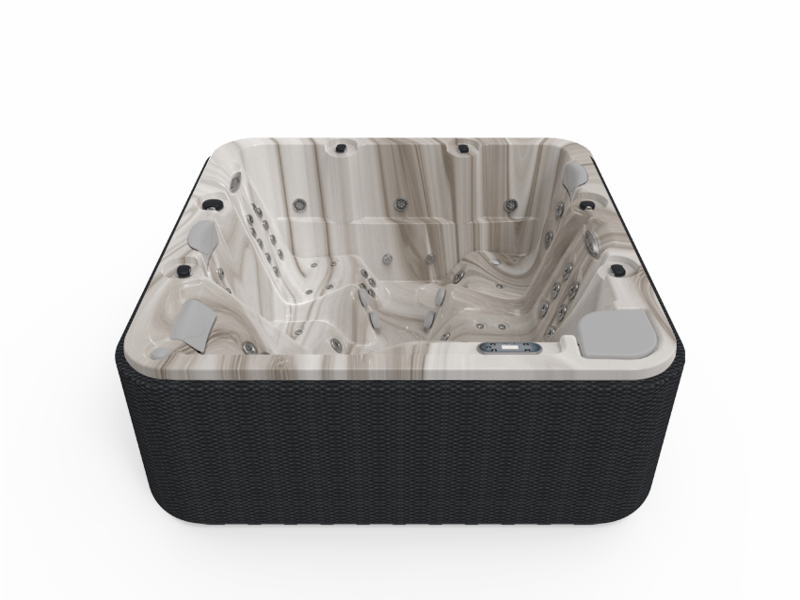 It has 54 stainless steel water jets that can be adjusted in intensity and direction, and 12 air nozzles featuring the Relax Impact System that wonderfully relaxes your muscles and immerses the body in a sea of bubbles. 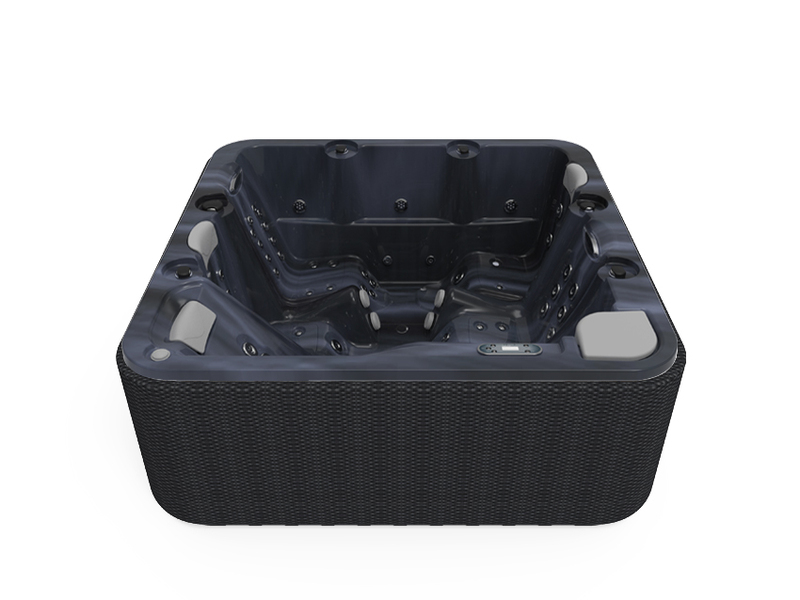 And it has the added value of the Flexible Massage system that uses hydromassage sequences to emulate the hands of a masseuse, with the option of regulating intensities, intervals and duration. 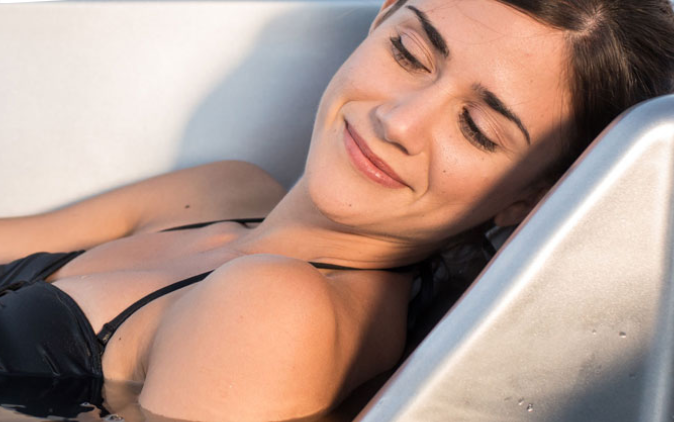 To top it all off, its lounger extends the massage from neck to toes and creates absolutely magical wellness moments of total well-being and relaxation. 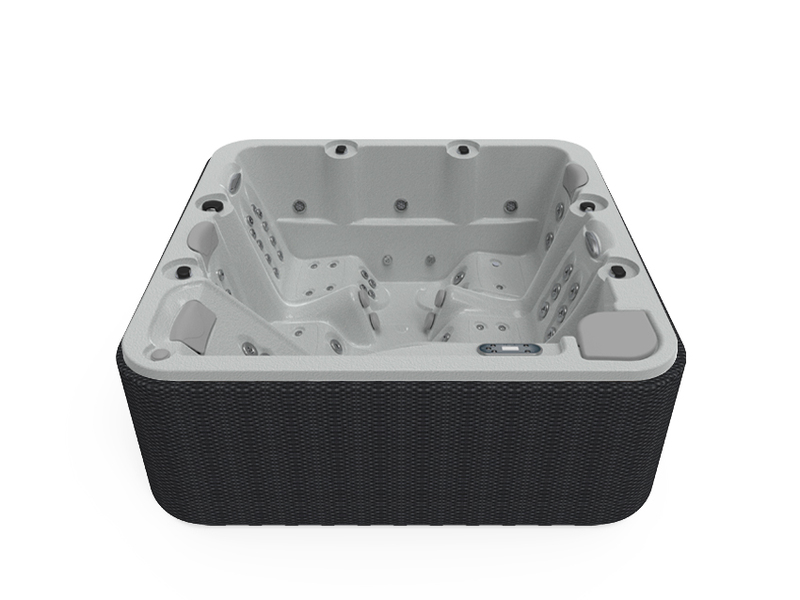 The Nice hot tub lives up to its name, it’s nice. 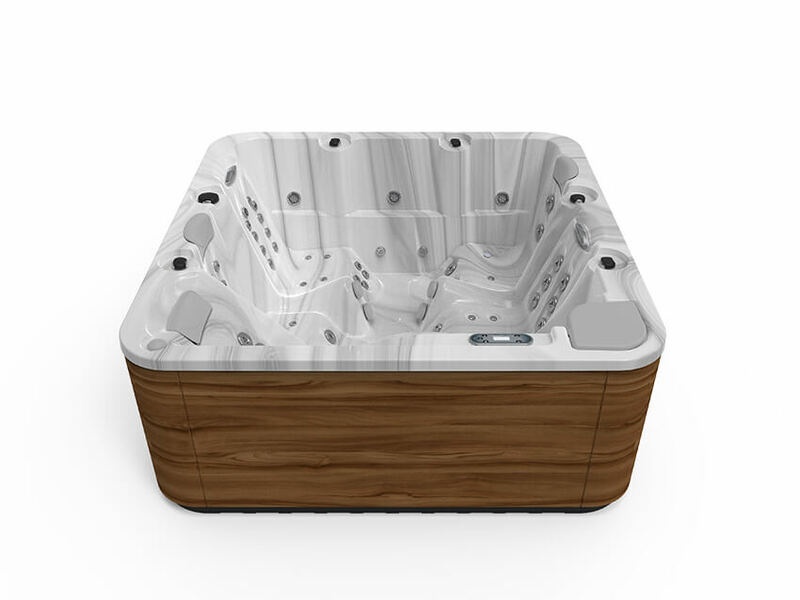 Although other words could equally be used to describe this hot tub: pleasant, gentle, likeable, sweet, enjoyable, subtle, pretty. 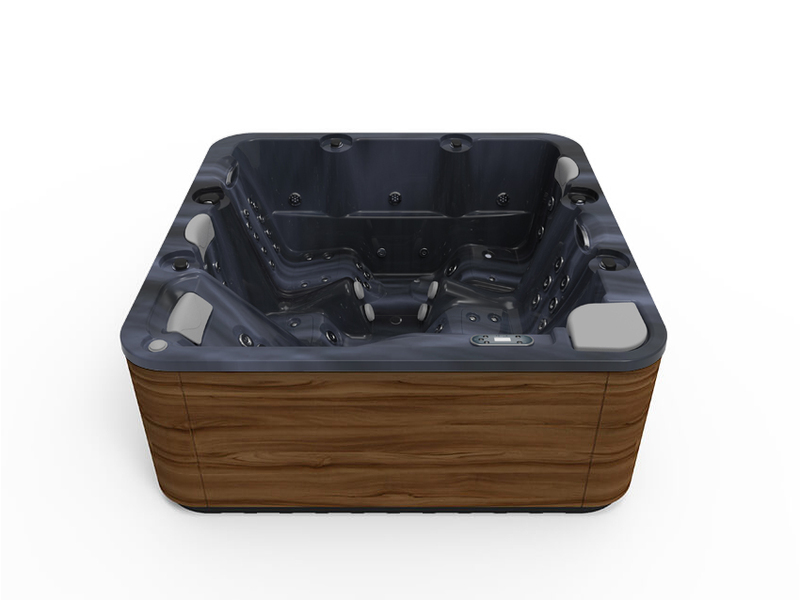 The Spa Nice has it all, with a series of details that make it really special, starting with its exterior finish Woodermax, exclusive to the Premium range (cabinet with no screws, completely smooth and made from extraordinarily strong material). From the outside, you can see the two elegant waterfalls extending from two of its head positions. 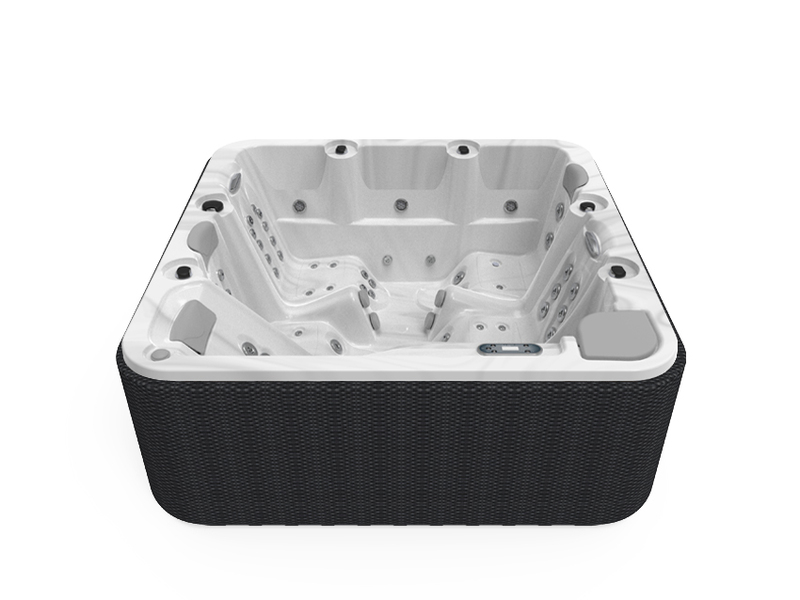 The other three have comfortable headrests. The ergonomic shapes and subtle waves of its interior give it a pleasant feel, enhanced by the underwater LED lighting (option to add up to 5 spotlights of the Colour Sense chromotherapy system), and the stainless steel finish on the nozzles and jets, all coming together to create a very tasteful design. 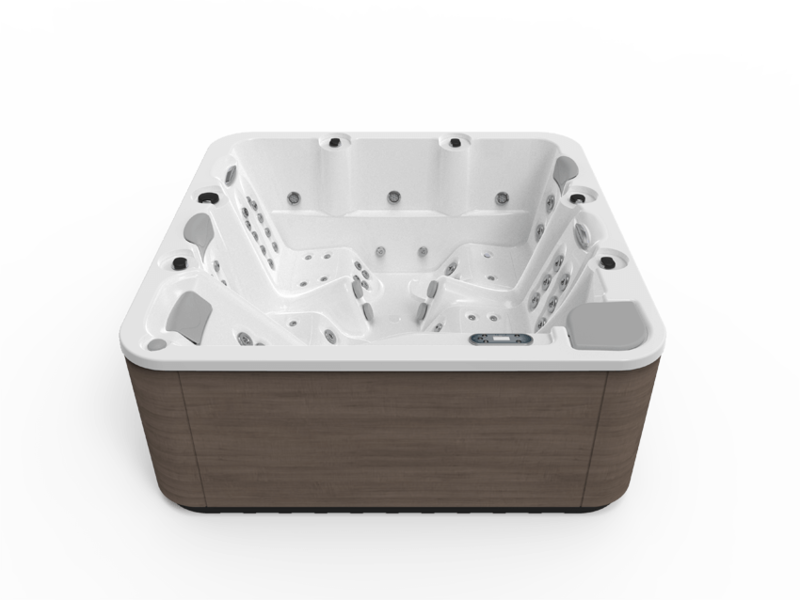 Any of the Aquavia Spa exclusive features can be optionally added to the Spa Nice, as is the case for all models in its Premium Spa range. The result of years of research and constant improvement of user experience is within your grasp, to make your home a haven of well-being and comfort.